Jean McGivney-Burelle from the University of Hartford and Ann Stewart from Hood College ran the Friday afternoon workshop, Teaching with Classroom Voting and Clickers. The Banquet Address Knights, Knaves, Normals and My Nephew was given by Jason Rosenhouse of James Madison University. The Saturday Morning Address Proving the Impossible was presented by Maryland's Professor of the Year John Hamman of Montgomery College and the Saturday Afternoon Address Surviving an Outbreak of Zombiism was given by Robert Allen from the University of Wisconsin – La Crosse. Congratulations to Adrian Rice of Randolph-Macon College the 2013 winner of the John M. Smith Award for Distinguished College or University Teaching! Abstract: This minicourse will provide participants with an overview of classroom voting pedagogy in a wide range of college mathematics courses. We will discuss the logistics of classroom voting as well as recent research on this type of pedagogy. We will also share our thoughts on writing effective voting questions. Participants will play the role of students in a voting demonstration, explore an online library of over 2300 classroom voting questions, and prepare a lesson with voting questions for use in one of their own courses. 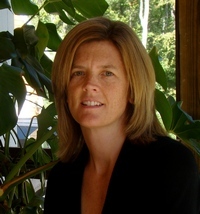 Jean McGivney-Burelle is an Associate Professor of Mathematics and Chair of Education at the University of Hartford. She received her M.S. from Northeastern University and her Ph.D. from the University of Connecticut. Her research interests involve investigating how to use technology to improve the teaching and learning of mathematics in secondary and post-secondary classrooms. She serves as senior personnel on the NSF-funded Project MathVote. 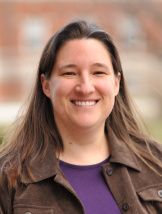 Ann Stewart is an Assistant Professor of Mathematics at Hood College in Frederick, Maryland. She uses classroom voting in many of her courses and she is also interested in connections between mathematics and music. 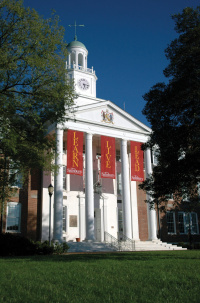 Ann earned her Ph.D. in mathematics from the Johns Hopkins University. She also serves as senior personnel on the NSF-funded Project MathVote. Abstract: : Puzzles about liars and truthtellers have a long history, but they were elevated to a high art by Raymond Smullyan. In books like What is the Name of This Book?, The Lady or the Tiger and Forever Undecided, Smullyan shows how elementary logic problems can lead the reader gradually towards sophisticated ideas like Godel's famous theorems. I first encountered Smullyan's writing in elementary school, and his books have had a major influence on me. I was recently invited to edit a tribute volume in his honor, and my work on this project afforded a welcome opportunity to reread his numerous books. In this talk we shall discuss some elementary features of these sorts of puzzles, develop a basic theory for thinking about them, and eventually build up their use for explaining difficult ideas in logic. Most of the talk will be readily accessible to students. 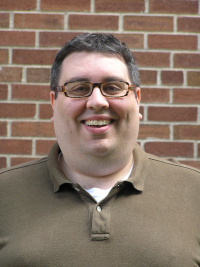 Biographical Sketch: Jason Rosenhouse received his PhD from Dartmouth College in 2000, and is currently an associate professor of mathematics at James Madison University. He is the author of the books The Monty Hall Problem: The Remarkable Story of Math's Most Contentious Brainteaser, and Among the Creationists: Dispatches from the Anti-Evolutionist Frontline. With Laura Taalman, he is the coauthor of Taking Sudoku Seriously: The Math Behind the World's Most Popular Pencil Puzzle. All three books were published by Oxford University Press. When not doing mathematics, he enjoys playing chess and reading locked room mysteries. Abstract: From some of the earliest proofs in mathematics to some of the most important modern results, mathematicians have sought to demonstrate that some things cannot be done. We will consider such proofs from pre-Euclid to post-Gödel, with a few stops in between. However, instead of simply focusing on the results themselves, we will consider the language used in these proofs. The way we choose to describe mathematics can have a profound impact on our relationship to the content and can affect how non-mathematicians view it. This is particularly true when the result in question is a proof of impossibility. Biographical Sketch: John Hamman is Professor and Chair of the Mathematics Department at the Germantown Campus of Montgomery College. He earned his bachelor’s degree in Mathematics and Physics – Secondary Education from the University of Northern Iowa and completed a master’s degree in mathematics there. 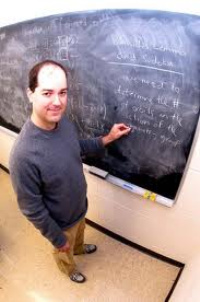 In addition, he spent two years in the PhD program in Mathematics at Dartmouth College. In 2011 he won the Montgomery College Outstanding Service Award and in 2012 he was recognized by a NISOD Excellence Award and as the Maryland Professor of the Year. His interests include mathematics education, the language of mathematics, beekeeping and motorcycling. Abstract: Since the 1930's zombies have played an important role in the American horror film genre. Have you ever wondered if a zombie apocalypse is realistic and/or inevitable? Can we use mathematics to help us fight off such an apocalypse? In this talk I will discuss a series of models for the spread of a zombie infection through a human population. These models are based on the standard SIR model, modified to introduce various coping techniques as well as dynamical behavior. Although an outbreak of zombiism is "fictional", I will discuss how mathematics is used to study the spread of an infectious disease, and the work can be translated to studying "real" diseases such as cholera, chicken pox, H1N1, and HIV, for example. 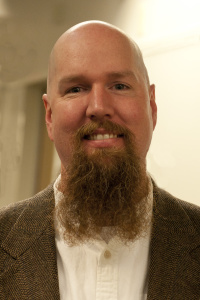 Biographical Sketch: Robert Allen is an Associate Professor of Mathematics at the University of Wisconsin-La Crosse. He received his B.S. in Computer Science from the University of Virginia in 1994. After working as a software engineer in the Washington D.C. area, he received his B.S. in mathematics from George Mason University, his M.S. from the University of Virginia, and finally his Ph.D. from George Mason University (quite a tennis match.) His research interests range from operator theory to mathematical biology, and everything in between. In 2012 he was awarded the Outstanding Professor of the Year. When not working with students, he can be found singing karaoke, playing video games, or trying out new recipes.